If you’re a Utahn facing criminal charges and can’t afford to hire an attorney, you’ll likely be assigned a public defender who is overworked and underpaid — and state officials know it. Now, the governor is trying to help solve this problem by more than quadrupling the funding for a state organization that oversees Utah’s public defender services. Gov. 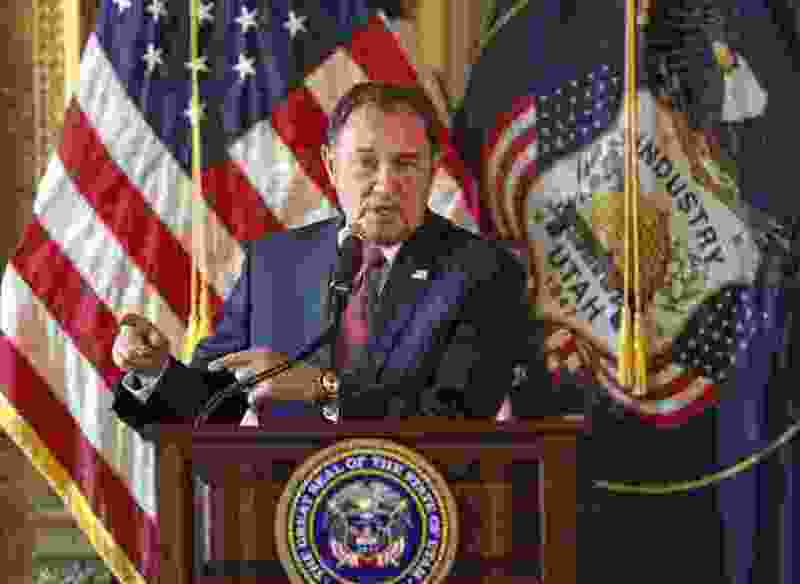 Gary Herbert earmarked $5 million in ongoing funding for Utah’s Indigent Defense Commission, created in 2016 to tackle a series of problems that places Utah’s system behind those in the vast majority of states. The commission, which currently has a $1.3 million annual budget, doles out state funds to help counties and cities cover the cost of public defenders for poor Utahns. Critics have said Utah’s patchwork public defender system is inadequate, underfunded and unfair to Utahns who rely on these attorneys to represent them in court. Executive Director Joanna Landau wrote in a Monday news release that the governor’s increase in funding is aligned with many of his other public safety and cost-saving budget recommendations. It impacts taxpayers, Landau said, if defense attorneys don’t have the time or resources to advocate for indigent clients, particularly when it comes to things like bailing out of jail, seeking probation instead of jail time or accessing mental health and substance abuse treatment. With this additional funding, the state would be chipping in $6.3 million each year to help fund indigent defense. Cities and counties are already spending about $36 million each year, according to the commission. Anyone who is charged with a crime that includes the possibility of jail time — in Utah, that’s anything above an infraction — is entitled to an attorney, even if the person can’t afford one. Prior to the creation and funding of the Indigent Defense Commission, Utah was one of two states in the nation that delegated the responsibility to fund defense costs entirely to individual counties and cities. Now, Pennsylvania is the only state with this model. Utah’s commission was created in 2016 after four years of study by a task force, marking the first time there has been state oversight on how indigent people are being represented in court. How each county handles this responsibility differs. In Salt Lake and Utah counties, a nonprofit public-defender office provides services, but other counties contract with public defenders or private attorneys — often for a flat-fee, regardless of caseload. This can lead to a crushing number of cases, and public defenders often can’t ask for funds for experts or private investigators. So far, the Indigent Defense Commission has provided money to several Utah counties, including to Salt Lake County to pay for more public defenders needed for those arrested in Operation Rio Grande — an effort to reduce lawlessness around Salt Lake City’s downtown homeless shelter. The commission also has granted money to Uintah County to hire more attorneys, defense investigators and experts. Juab County began receiving state funding in 2016 to hire the nonprofit public-defender association in Utah County to handle its cases. Previously, one lawyer represented all indigent defendants in that county for a flat-fee contract. When the commission was created in 2016, the Utah Association of Criminal Defense Lawyers estimated it would cost between $8 million and $10 million to be able to address Utah’s most pressing problems with public defense. The organization was one of a number of critics who said the state was not meeting its constitutional requirement to provide legal help to those who can’t afford it. Sen. Todd Weiler, R-Woods Cross, detailed some of the issues in Utah’s system during a 2016 legislative hearing, saying that public defenders have no incentive to take cases to trial or put in more work on cases because of flat-fee contracts that are typical in more rural areas. He also said it was problematic that some county attorneys were advising commissioners on whom to give public defender contracts — essentially picking the opponents they will face in court. The governor’s budget is largely advisory, and Utah lawmakers will craft their own budget when the legislative session begins next month.